With cooler temperatures and snow at the highest elevations, it’s clear that winter is on its way. Autumn, though, will persist throughout the month, and it’s one of the best times to visit Baker, as Great Basin National Park isn’t as busy. Most of the local businesses are still operating, although hours will likely be reduced throughout the month (except for the Border Inn, which is open 24/7). With Halloween at the end of the month, I thought it would be fun to feature a couple local ghost towns. The population in the Baker area is currently about 200. As you can see by the accounts of these ghost towns, they had much bigger populations, but they didn’t stay long. Osceola is one of the best known ghost towns in the area, with a sign right off Highway 6 & 50 in Spring Valley, and also access from the Sacramento Pass Recreational Area. Osceola was home to the largest gold nugget ever found in Nevada. 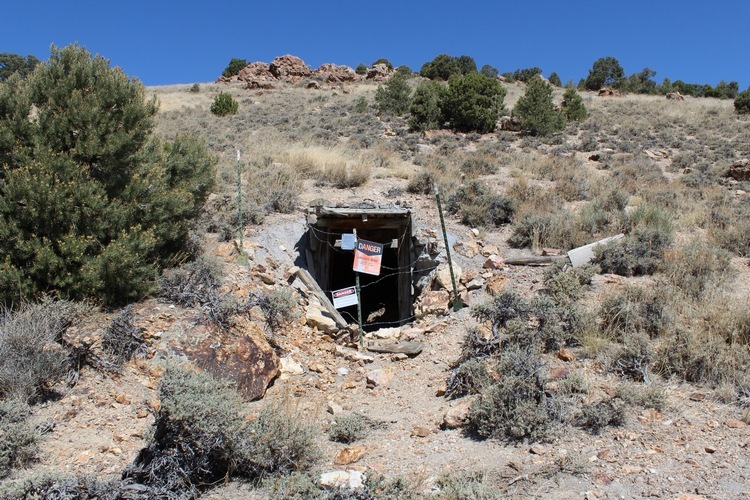 It’s also reportedly the largest placer gold mining area in Nevada. At its heyday, over 1,000 people lived in Osceola. The biggest problem they had was getting enough water. In 1884-85, a ditch was built along the west side of the South Snake Range to transport water from several streams, but still more water was needed. So in 1889-90, an 18-mile long ditch along the east side of the range was built, largely by Chinese, Shoshone, and Paiute Indians. This ditch captured water from Lehman, Mill, Strawberry, and Weaver Creeks. The long ditches proved problematic, though, with rocky sections, water thievery, and low precipitation, and within a few years were abandoned. The gold eventually played out, fires burned buildings, and water continued to decrease. Osceola declined, and in 1920 the post office closed. The town didn’t totally disappear, though, and some mining still takes place there. One of the miners from Osceola, Tommy Watkins, was riding his black horse northeast of Osceola in March 1906, when a storm came up. He took refuge under a ledge and found some gold. 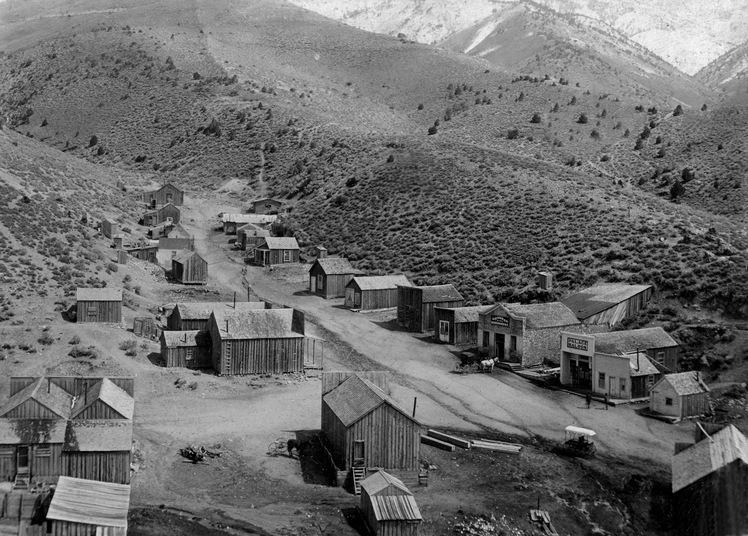 The mining community of Blackhorse was born, and by April 1906, the town included 400 people, three stores, three saloons (including the Bucket of Blood), two boardinghouses, a blacksmith shop, and a barbershop (apparently the miners wanted to look good). The rich ore was in small veins and played out by 1913, with about a million dollars produced. Additional mining took place from 1933 to 1954. One of the stores was taken to Baker (now called Kerouac’s). All the other buildings were moved, burned, or collapsed, and very little is left at Blackhorse now except some open mine adits and broken bottles. The area is accessible on Forest Service roads about two miles north of the turnoff by mile marker 88. A good base for visiting these ghost towns is nearby Sacramento Pass Recreational Area, with beautiful campsites, a fishing pond, and hiking/biking trails. 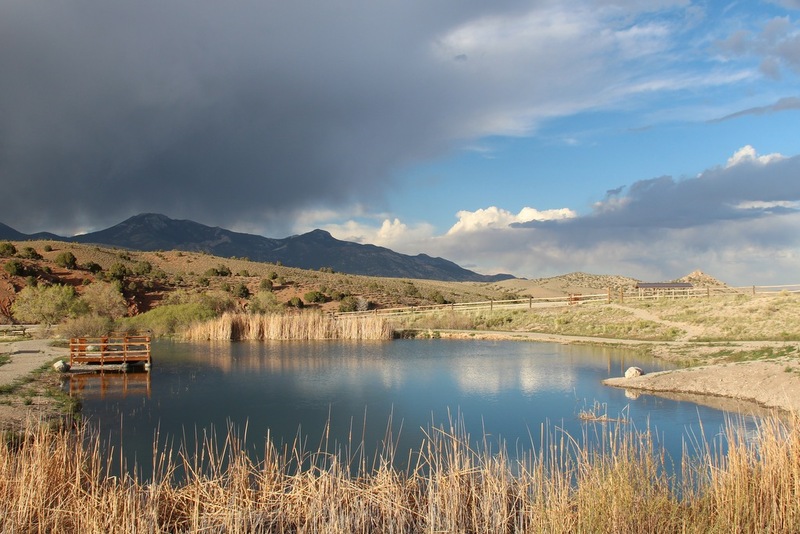 October is a great time to visit the trails, with aspens turning and pleasant temperatures.